We went to a glacier. It was huge. 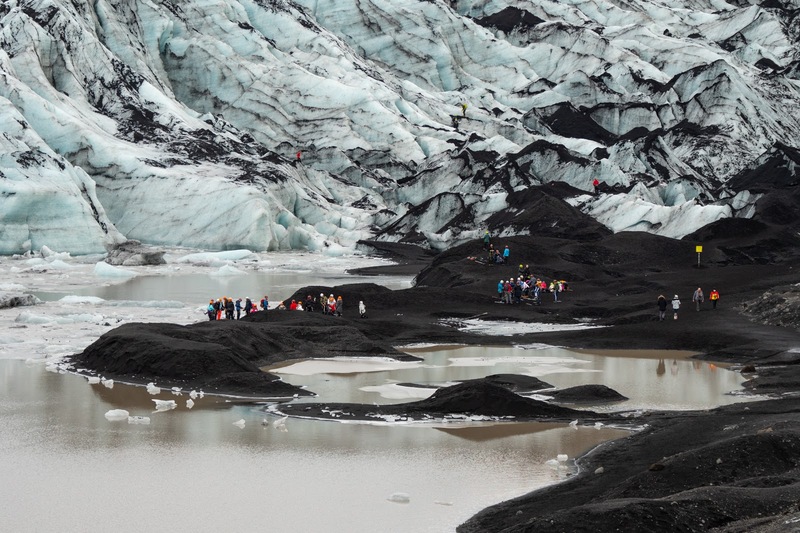 We traveled a lot today and one of the places we went to was a glacier near Vik, Iceland. It was pretty amazing. If you are traveling with a group and have constrained time schedule you could not do better, when choosing cameras and lenses, than to include a long range zoom. Something that goes from a good wide angle to a competent telephoto. I brought lots of different lenses with me but the Olympus 12-100mm f4.0 Pro lets me crop into a tight detail shot or portrait shot and then, seconds later, zoom out to include broad vistas. Not having to change lenses when the winds blowing and stuff is flying around could mean the difference between an operable camera and a dead brick. One of my travel companions is shooting with a Sony full frame and has one of the wide to long zooms for that system and the only other lens I've seen him shoot in the last two days is the Sony 16-35mm. His images have been turning out incredibly well. Tonight we're going out to chase the Northern Lights. I'm taking one camera and one lens but this time it's the G9 and the Panasonic/Leica 8-18mm. I'm assured by my landscape friends that the wider the better when it comes to capturing the magic of the waves of light. We'll see if they are correct. More to come after I have additional time for post processing. Hope everyone is well. I'm loving the feedback.